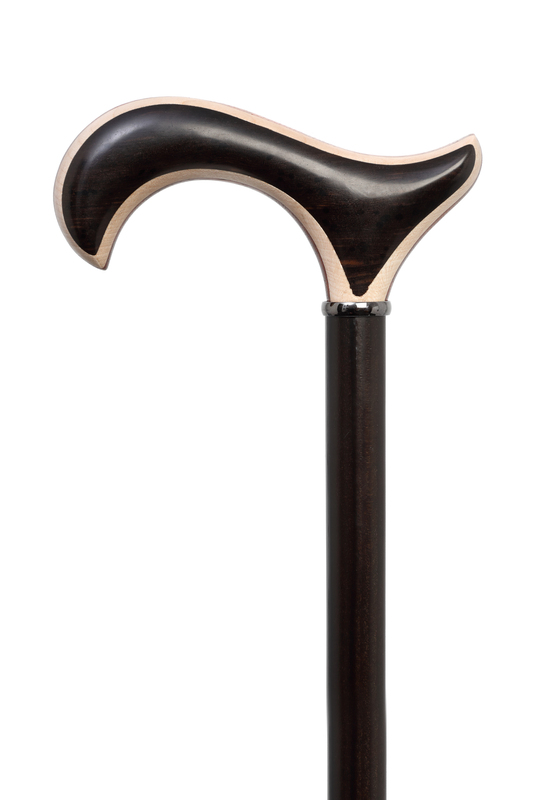 An elegant derby handled town stick made with a combination of ebony, padouk and maple mounted on a scorched beech wood stick and finished with a simple black chrome collar. 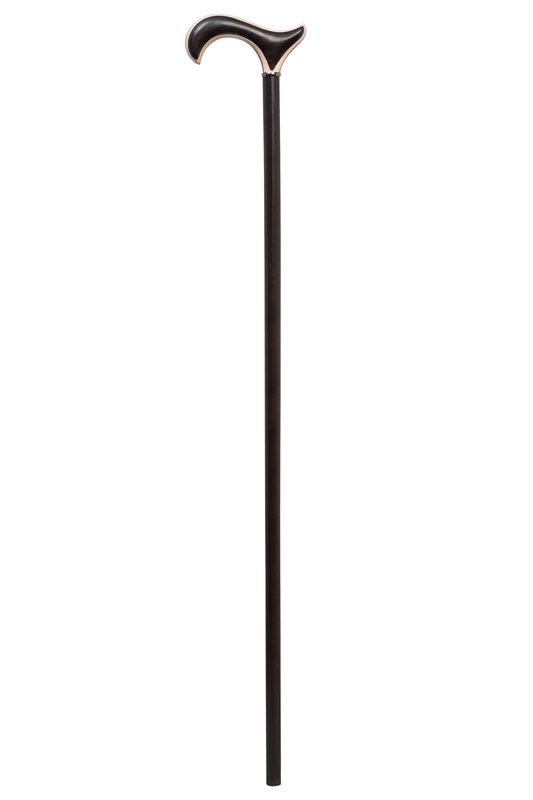 The shank of the stick is carved with a stripe detail that has been stained to match the natural colour of the padouk wood on the handle. 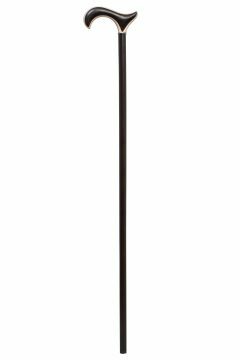 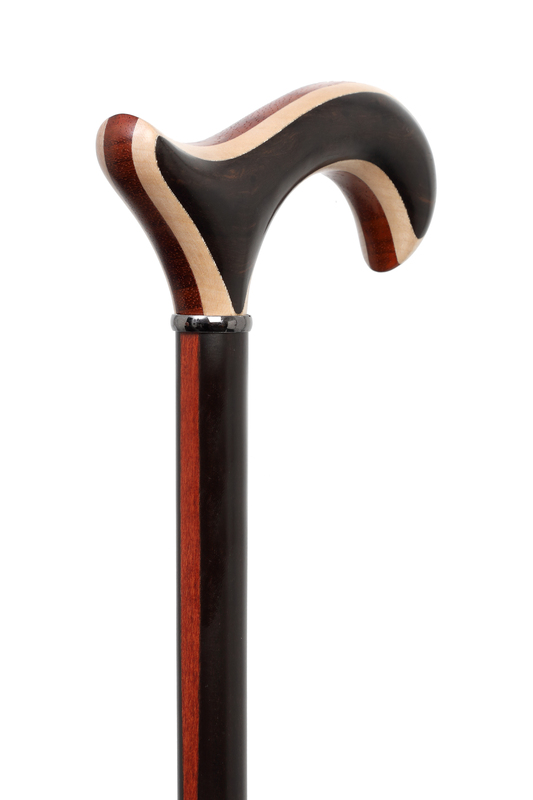 This walking stick can be cut to the appropriate length for the user and will be finished with a bell-shaped rubber ferrule for grip on hard surfaces.